A new chapter begins for Team Terrific Racing. Another race car was purchased in January of 2018. It is a Formula Ford manufactured by the same fabricator (Elite in Ohio) who made all the Bobsy Sports Racers. Only two Bobsy FFs are known to still exist -- this one and another on the West Coast which has been actively raced. This one hasn't been on track since 1984 having been an unfinished "project car" since then. It's a "project car" which is complete but not assembled (it came in many boxes and what was assembled was just done loosely for selling pictures.). It willl need everything - a ground up total restoration. In addition to these restoration pictures, there is a page on the Bobsy Registry devoted to the entire ownership history of this car. CLICK HERE to view that details history. News Flash: Feb. 2nd 2019. Almost exactly one year after buying the car, it made its on-track debut as shown in the final picture in this gallery. Included in the caption of that picture is a link to a 17-second on-track video. You can’t really see the car very well, but you sure can hear its wonderful exhaust note. Enjoy all the detailed pictures of the restoration of this unique Formula Ford. A BANNNER DAY Feb. 2nd 2019. 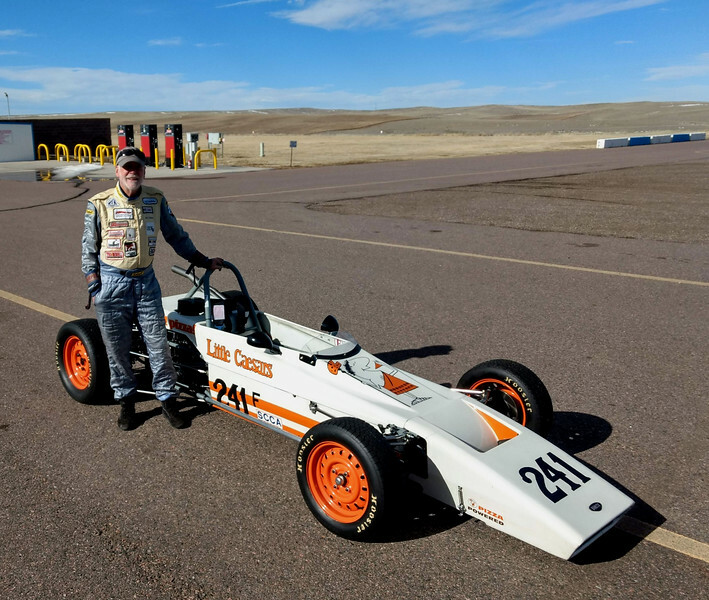 Almost exactly one year after buying the car, the Bobsy Formula Ford makes its first debut on track. It was a beautiful 61-degree open test day at High Plains Raceway also a beautiful day for the car. It car performed flawlessly! Frankly, I was nervous as hell about putting a "brand new" every last nut and bolt restoration on track. It took several sessions to get comfortable with the car. But after three track sessions I was able to hammer it pretty hard with no issues. Handling was spot on. No evil habits. Very compliant and even pretty forgiving. YEAH!!! For the first time since 1984, the Pizza-Pizza Bobsy Formula Ford is back on track. Way cool. A 17 second on-track video can be viewed here. You can’t really see the car very well, but you sure can hear its wonderful exhaust note.